The employment projections published by the Bureau of Labor Statistics gives evidence of a crisis within healthcare. 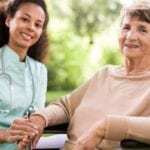 At the top of the lists of occupations expected to realize unprecedented growth through the year 2022, are personal care aides, home health aides, and nursing assistants. 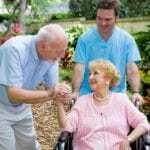 Like personal care aides and home health aides, certified nursing assistants (CNAs) work primarily with seniors who need assistance with the activities of daily living. They work in rehabilitation facilities, nursing homes, home health, and assisted living facilities. As PHI and similar organizations project that the direct care workforce will become the largest occupation in the United States, the industry will need an influx of workers to fill vacant positions. The explosive demand and limited supply of workers will possibly lead to better salaries and benefits for these entry-level caregivers. CNAs will also have opportunities for advancement – with ongoing education. The nurse aide training provides a solid foundation and excellent opportunity to gain the experience that will improve an application for nursing school. The Nurse Aide program at Future Healthcare Careers is approved by the State of Michigan. 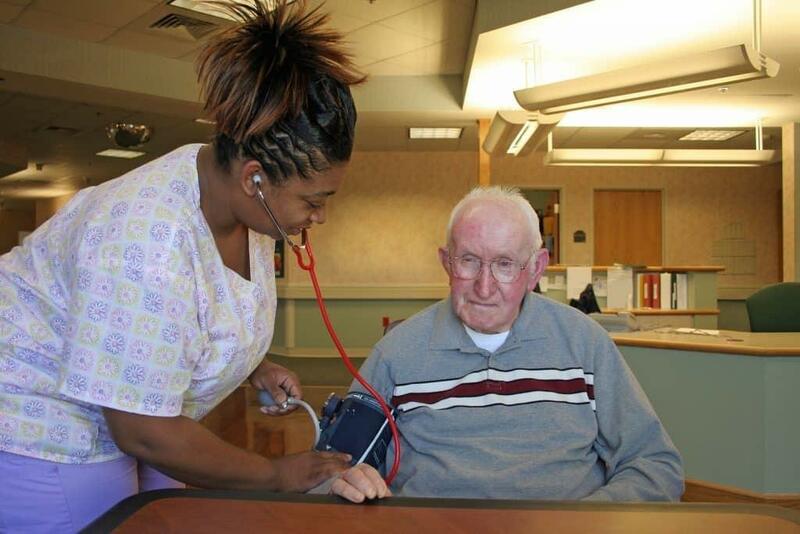 The intense 10-day training prepares students for the nursing assistant certification exam. Students learn how to give bed baths, feed patients, monitor vital signs, chart, and function as a competent member of the healthcare team. They also learn the role and responsibilities of nurse aides, how to transfer patients safely, and the laws and ethics that govern practice. Classes meet Monday through Friday from 5pm to 10pm for 10 days. The class size is limited to 8 to 12 students. Tuition for the program is $550 and does not include the cost of the textbook. Heart to Heart prepares students for Michigan State certification in just two weeks. Students acquire the skills to work in hospitals, nursing homes, hospice, home care, adult day care, medical facilities, and clinics. Course topics include personal care, basic nursing skills, infection control, vital signs, anatomy and physiology, nutrition and feeding, personal hygiene, patient safety, the role of the nurse aide, and laws and ethics. Classes meet Monday through Friday from 8:00 am to 4:00 pm for two weeks. Applicants must be 16 years or older, provide a negative TB test, and submit to a background check. Tuition for the program is $850. A deposit of $300 is required to reserve a seat in the class. The balance is payable through a flexible payment plan. The cost includes the course textbook, one pair of scrubs, and various training supplies. The CNA program at Aress Academy has been in operation, with the state’s approval, since 2004. Experienced and committed instructors prepare students for success in the field. The curriculum includes classroom and practical training in accordance with state requirements and graduates are eligible to sit the Nurse Aide Certification Exam. The school offers three schedules to accommodate students who need to balance work, school, and family commitments. The schedules are daytime (3 weeks), evening (3 weeks), and Saturdays (8 weeks). Tuition for the day class is $500. The evening and Saturday class costs $450. Financial assistance may be available for eligible students. The nursing assistant program at Abcott Institute prepares students for state certification in just five weeks. Students get the hands-on training and industry support needed to start a rewarding career in healthcare. Graduates possess the skills, critical thinking, and compassion to function within of the role of a nursing assistant in hospitals, assisted living centers, long-term care facilities, hospice centers, and home health care. Experienced instructors help students develop skills such as taking and recording vital signs, medical terminology, patient care skills, measuring fluid intake and output, personal care, safety and body mechanics, communication skills, patient rights, and patient abuse prevention. Abcott offers convenient day and evening schedules to accommodate busy professionals. The day schedule meets for five weeks. The evening schedule meets for seven weeks. CPR certification and the state exam fee are included in the cost of the program. Tuition for a combined CNA/HHA/PCT program is $9,000.